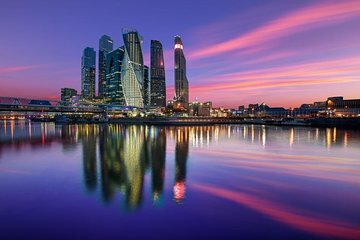 Learn about the history and culture of Moscow, pass many of the iconic sights, then see it all laid before you from the tallest viewing platform in Europe: 754 feet (230 meters) high. Receive personalized attention on a private tour, and ask all the questions you want. A great tour for both first-time visitors and those who have traveled to Moscow before, as the thrilling elevator ride up and viewing platform give a different perspective of the city.